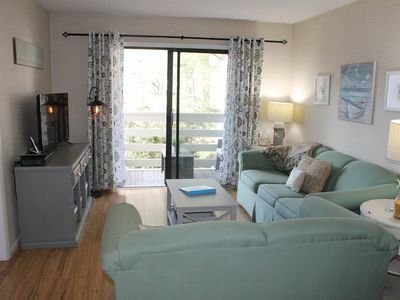 Newly renovated coastal chic one bedroom villa with great ocean views. 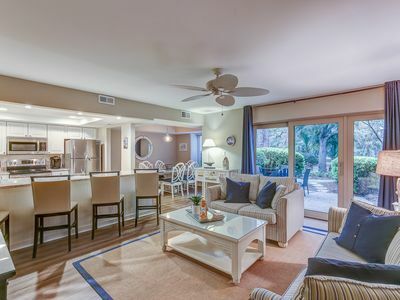 Beautifully decorated with everything you need for your beach vacation. 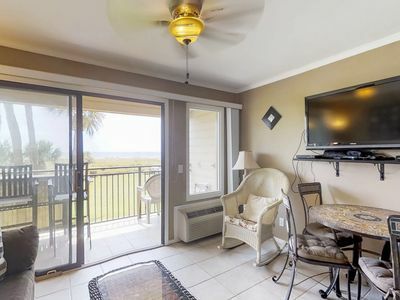 Beach chairs and umbrella included. 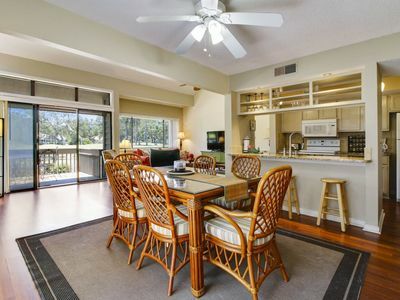 Kitchen has everything you need to cook a meal, quartz counter-tops and stainless appliances. 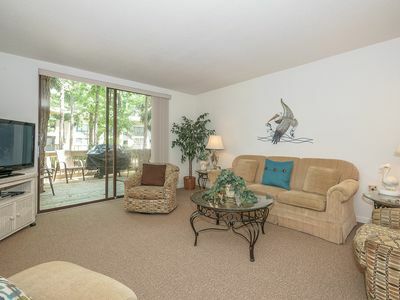 Comfy queen bed in the bedroom and sleeper sofa in the living room, Cable, WiFi and smart TV. 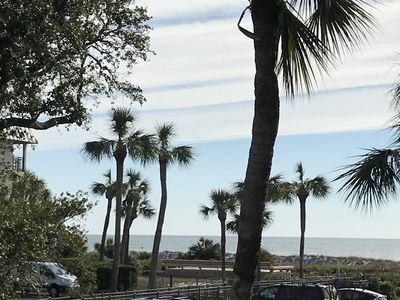 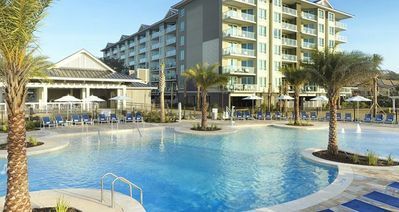 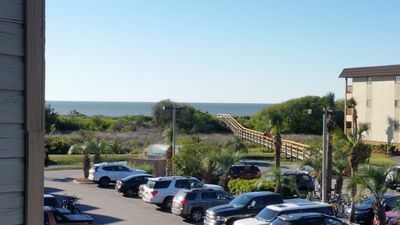 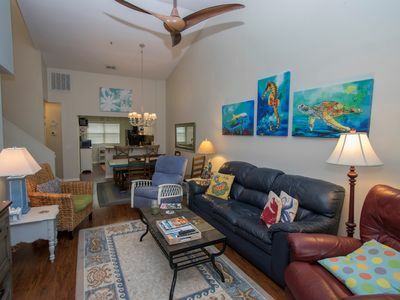 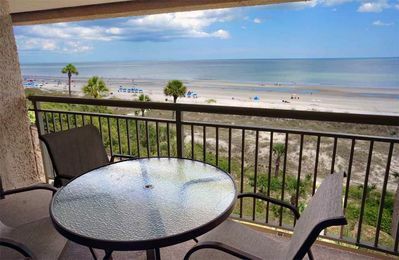 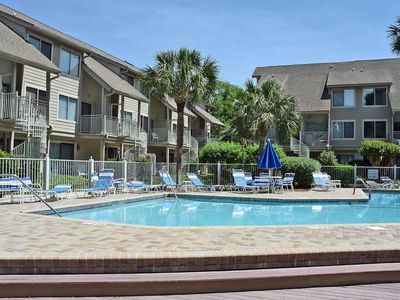 Located in Seaside,a gated oceanfront complex 2 blocks from Coligny Plaza and the Tiki Hut, centrally located to dining and shopping, but far enough away to avoid the crowds. 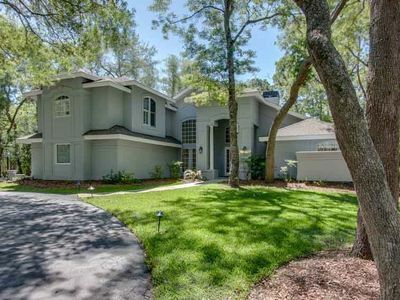 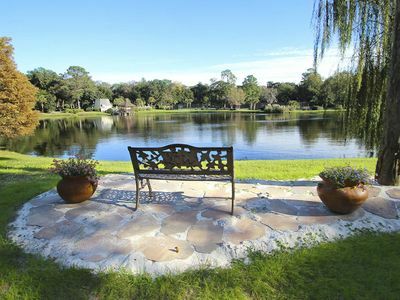 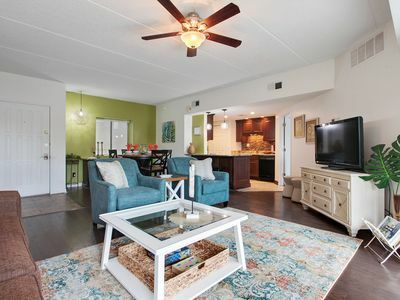 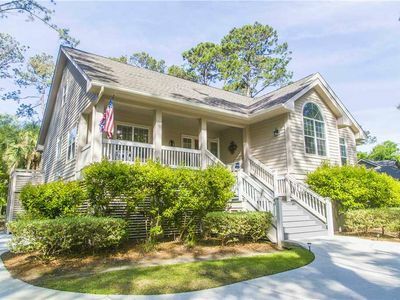 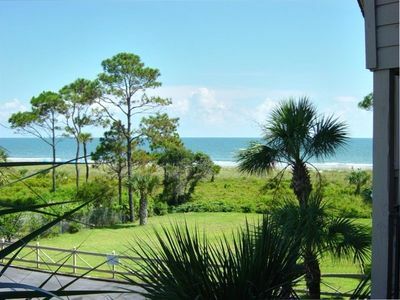 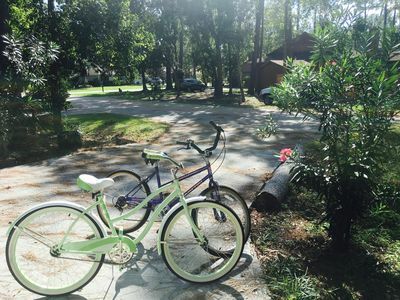 Sea Pines Beach Villa, Updated, Fully Equipped And Only Minutes From The Beach! 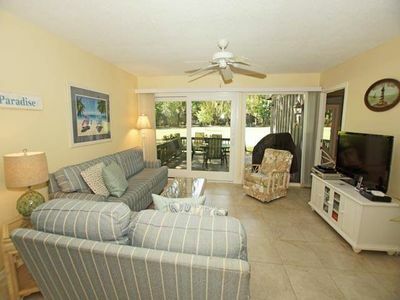 Dog-friendly villa w/ shared pool, tennis, patio, full kitchen & beach nearby! 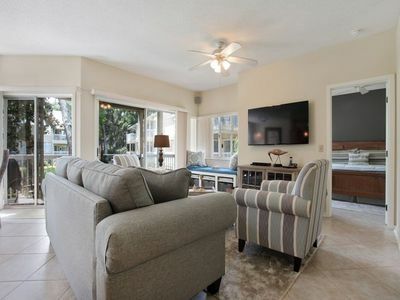 *Recently remodeled, 3 blocks from beach! 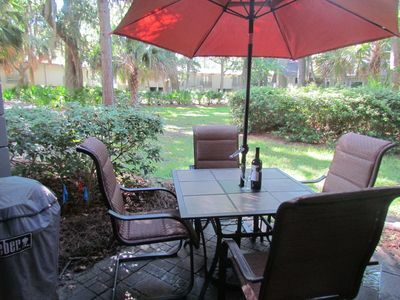 *Discounts for winter & longer stays!